There are concerns for the future of Salisbury Cathedral after recent survey work revealed that its foundations are undermining surrounding buildings. The cathedral, which has been growing at an average rate of six inches a year since it was built in the thirteenth century, is now well over three miles high and presents a constant danger of collision to local air traffic. However, there are now worries about it's ever-growing root system, which has spread beneath most of the city and threatens to cause widespread upheaval. 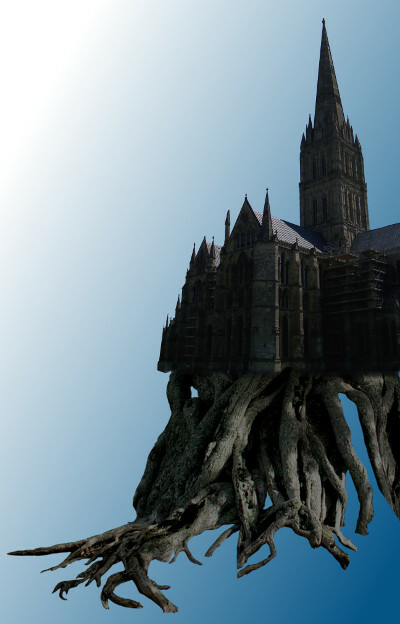 Local residents are demanding that something be done and so plans are now afoot to uproot the cathedral and transplant it to East Grimstead, where it will become someone else's problem.